The thermal conductivity, λ, is the quantity of heat transmitted, due to unit temperature gradient, in unit time under steady conditions in a direction normal to a surface of unit area, when the heat transfer is dependent only on the temperature gradient [Ref. 2]. 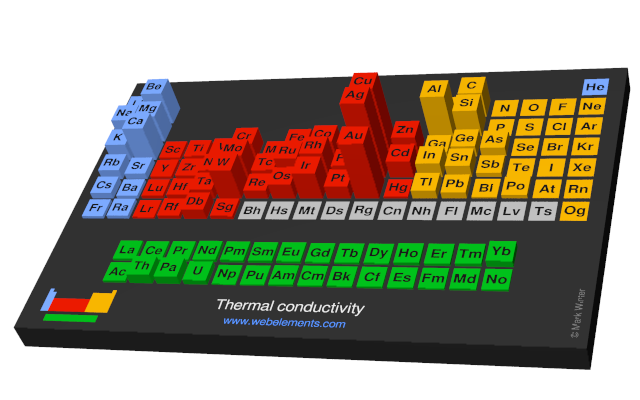 Image showing periodicity of the chemical elements for thermal conductivity in a periodic table cityscape style. 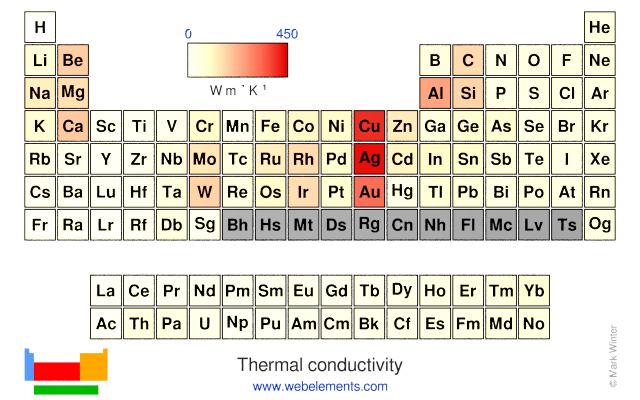 Image showing periodicity of the chemical elements for thermal conductivity in a periodic table heatscape style. 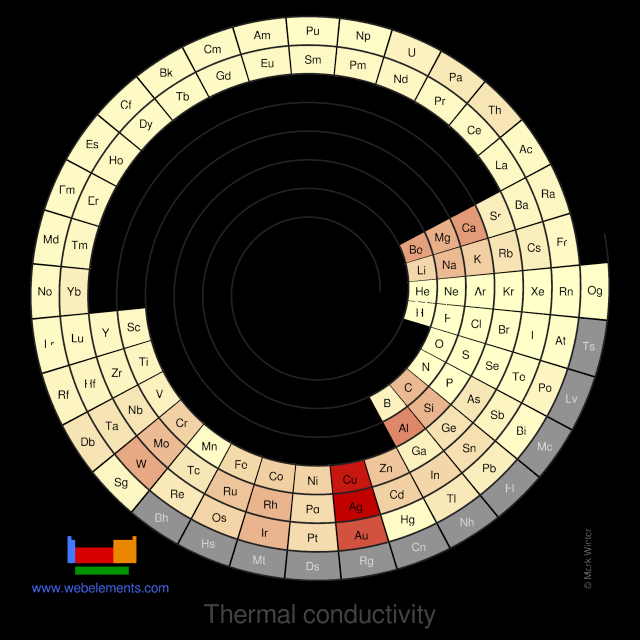 Image showing periodicity of the chemical elements for thermal conductivity in a spiral periodic table heatscape style. 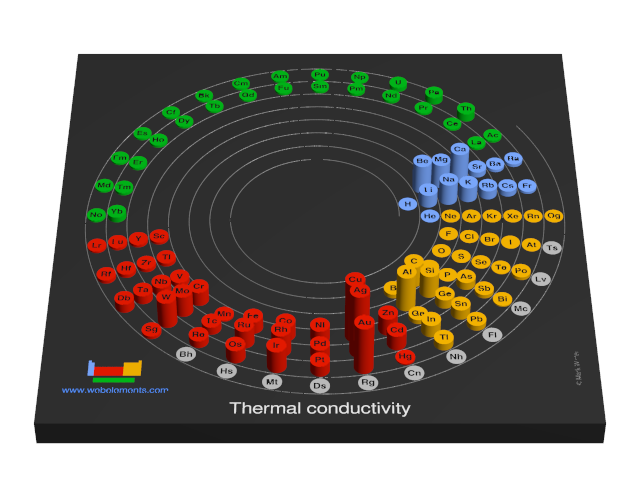 Image showing periodicity of the chemical elements for thermal conductivity in a 3D spiral periodic table column style. Image showing periodicity of the chemical elements for thermal conductivity in a 3D periodic table column style. Values are given at 25&176;C. To convert to W cm-1 K-1, divide by 100. Values are temperature dependent. Thermal conductivity tends to fall with decreasing purity.